BBG enrolled contractor and domestic installer operating from its base in Toronto. BBG Electrical possess an enviable reputation working alongside our Blue Chip Clients. Best Brothers Group reaches out to the Toronto, covering a variety of sectors within the Retail, Leisure, Health, Commercial, Food Production and Residential industries. We work alongside contractors, clients and consultants to develop projects and designs to ensure that the each job is completed to the highest standard. Best Brothers Group appreciates the restrictions of budget constraints and understands the value of service, as our engineers are assigned to complete the project in line with the client’s budgets. We provide a huge range of electrical services to commercial, industrial and residential clients. We work in all business areas but particularly specialise in the food, retail, office and educational industries. We provide excellent electrical services to businesses, including installation as well as testing and maintenance of electrical systems. We also provide IT services, including data and networking cabling installation and testing. Plus, we install security systems, such as fire alarm and emergency lighting systems. As well as business electrical services, BBG Electrical also provide electrical work to home owners. 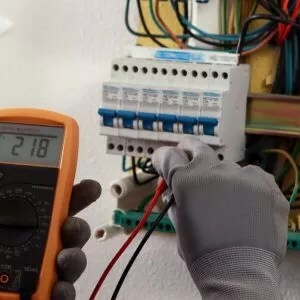 We can install and maintain electric systems as well as provide help and advice on any electrical problems you may have. We also install fire alarm systems in homes as well, so you can ensure your family’s safety.